MusicGlove is now covered for veterans to use by the U.S. Department of Veteran Affairs Prosthetic and Sensory Aids Service. This means that, with proof of medical necessity, you can get a MusicGlove free of charge. Who Is Eligible for a Covered MusicGlove? 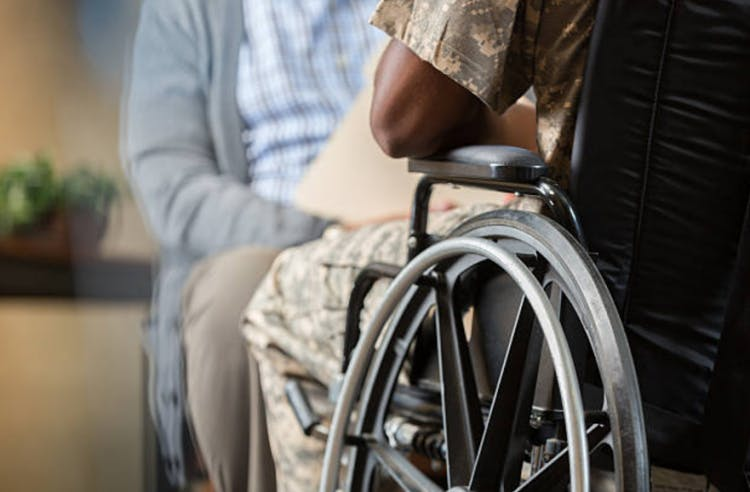 If you served in the active military service and were separated under any condition other than dishonorable, you may qualify for VA health care benefits. To learn more, visit the VA’s website. Contact your VA Primary Care or treating therapist. Find your VA Facility through this directory guide or contact us (800) 593-5468. Request a referral to Occupational, Recreational or Physical Therapy. Mention MusicGlove when scheduling with your treating therapist. If they don’t know what MusicGlove is, send them this brochure. Your clinician will determine if MusicGlove is medically necessary for your treatment and recovery. What If My VA Doesn’t Offer MusicGlove? We’re able to quickly provide and train VA staff about our products. Download our brochure and share it with your VA Therapist or contact us at (800) 593-5468. If you are a clinician, you can evaluate and purchase our devices for clinical use at all VA/DoD medical treatment facilities. Click here to learn more. Thank you for the service you have provided for our country. We look forward to serving you on the road to recovery.